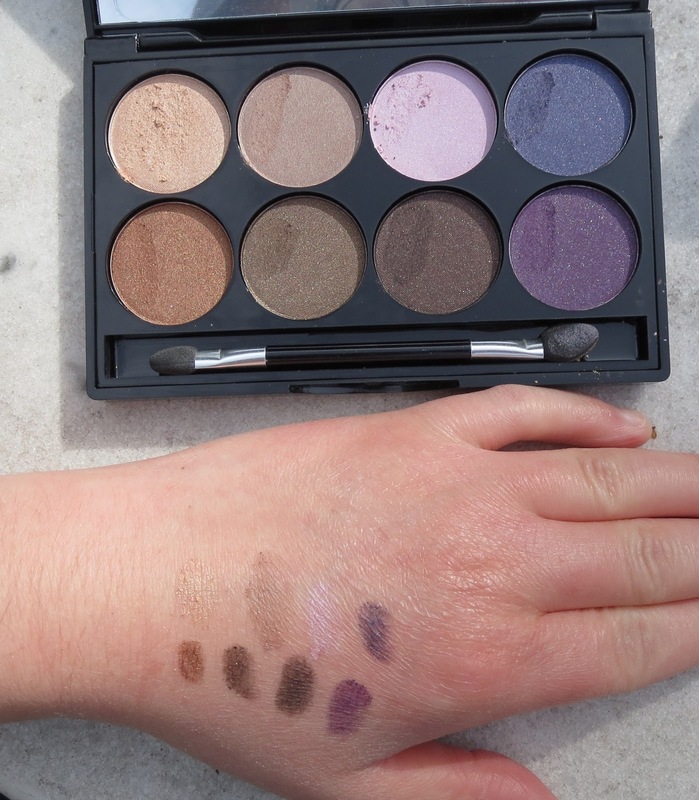 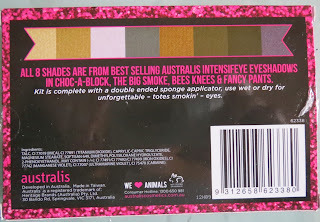 An Australis eye shadow palette consisting of eight different colours in a great packaging for $4.83. I haven't worn them yet but I quickly swatched them so if you like what you can see you can hunt this bargain down! 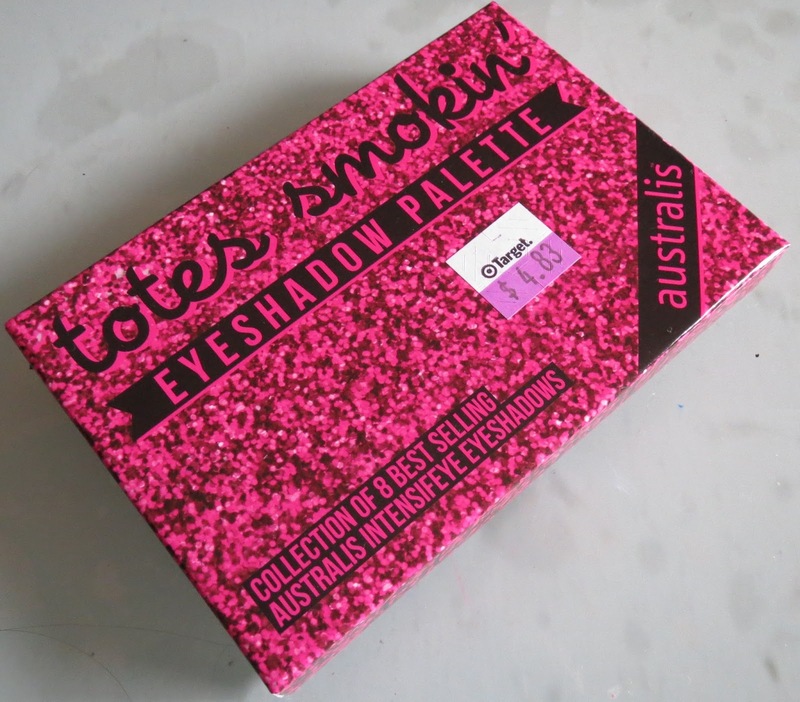 The packaging is black plastic but feels quite sturdy, there is a huge mirror in the compact and it also comes with a good applicator. 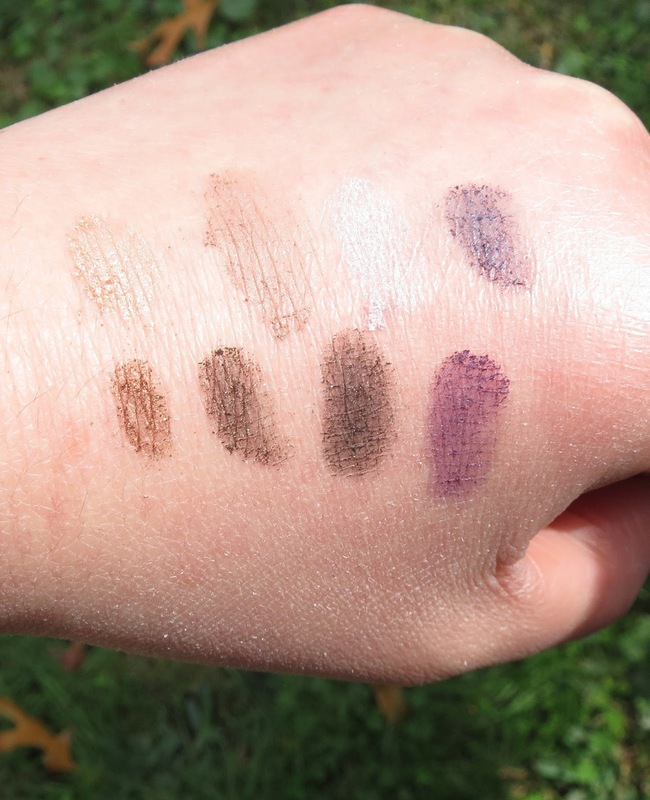 Here are the swatches, enjoy! 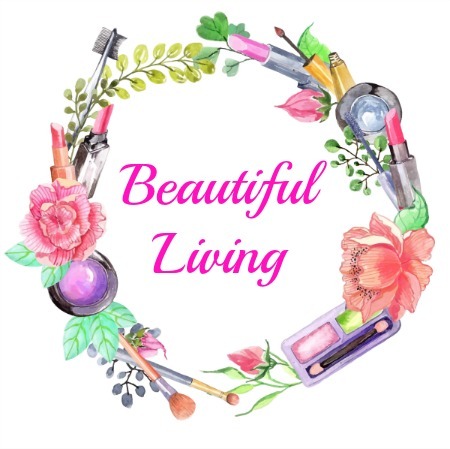 Cheers and have a great Friday night. I need to rush off now and get ready.....eeeep why do I always run behind schedule?